Bleeding gums should never be ignored although they are a common occurrence. Bleeding gums are an indication of future onset of gum disease. Although there could be other health problems because of bleeding gums. Mild bleeding caused by a new toothbrush or unusually vigorous brushing will stop by itself and need not be a major cause of concern. Ill-fitting dentures also cause bleeding and can lead to oral sores. If you notice frequent gum bleeding, it is time to visit your dentist who will evaluate the condition of your teeth and gums. Frequent gum bleeding could indicate serious diseases like gingivitis and periodontitis, which can lead to tooth loss. The other indications include leukemia or blood cancer (quite rare), vitamin deficiency, or blood cells (platelets) not clotting. Plaque depositing in the gums over time leads to a condition known as gingivitis that affects the gums. Plaque is nothing but food particles and bacteria that settle on the teeth. While brushing twice daily and flossing at least once in two days can keep a check on plaque formation, if the deposits are heavy you need to visit your dentist. Even when plaque starts collecting in the gums it can lead to gingivitis, which causes the gums to erode. If you notice your gums getting puffed up or experience soreness in your throat or gums please visit your dentist. Bleeding gums are another symptom of the onset of gingivitis. 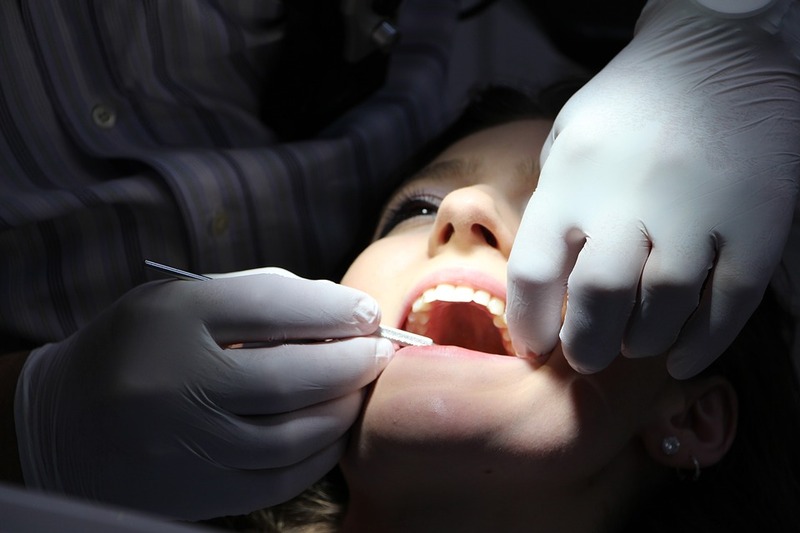 When gingivitis reaches an advanced stage, it turns into a condition known as periodontitis. Periodontitis is severe infection of the gums causing erosion and cause the teeth to loosen as well. It can also lead to loss of teeth if not detected on time and treated. Periodontitis can even affect the jawbone and cause resorption. It affects tissues connecting the teeth and gums and makes the affected area weak, causing the teeth to fall out. An improper diet that is not nutritionally balanced causes vitamin deficiency, especially vitamin C and K, which can lead to bleeding in the gums. If a healthy and balanced diet is followed it is easy to overcome this vitamin deficiency and save the gums and teeth. While visiting your dentist next make sure you have your vitamin levels checked and take suitable medication, if required. Other than medication, vitamin supplementation can be got from fruits and vegetables like oranges, strawberries, gooseberries, broccoli, bell peppers, spinach, etc. Ill-fitting dentures can also cause sores in the gums and lead to bleeding. Dentures that are either too tight or loose tend to rub against the gums and cause damage. Discuss the issue with your dentist and either get fitted out for new dentures or have the existing ones relined to suit your mouth. Pregnant women can experience bleeding gums, which may be due to some hormonal changes taking place in the body. These changes cause sensitivity in the gums and may cause them to bleed. However, such bleeding in the gums need not cause gum erosion or loss of teeth. Proper medication can help correct the hormonal imbalance. Next post: How to Speak Clearly with Dentures?